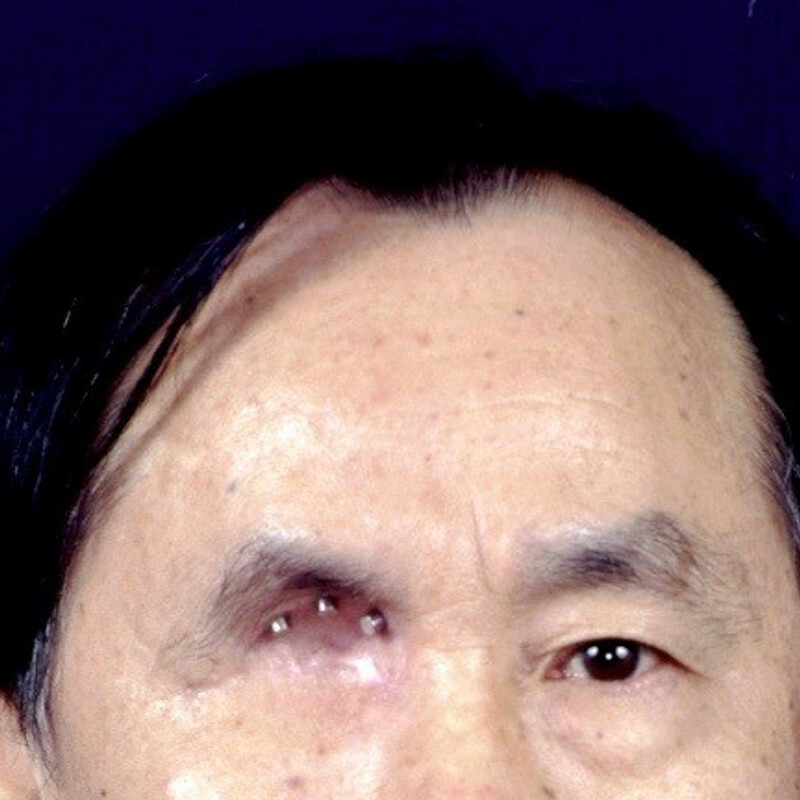 This patient lost his eye to cancer. 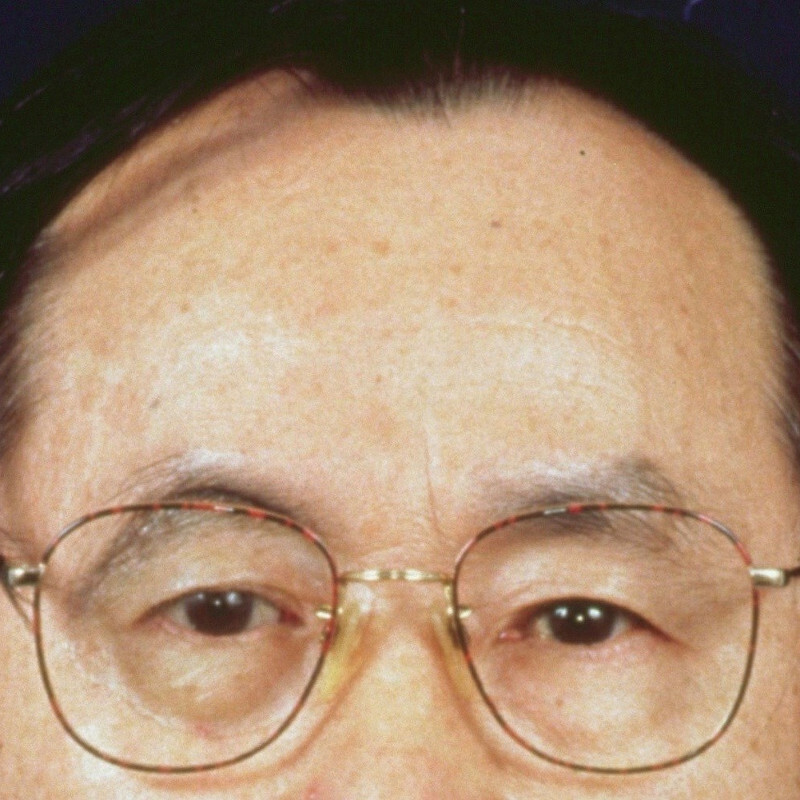 Implants were placed at the superior area of his orbital bone to be attached to the eventual prosthesis. 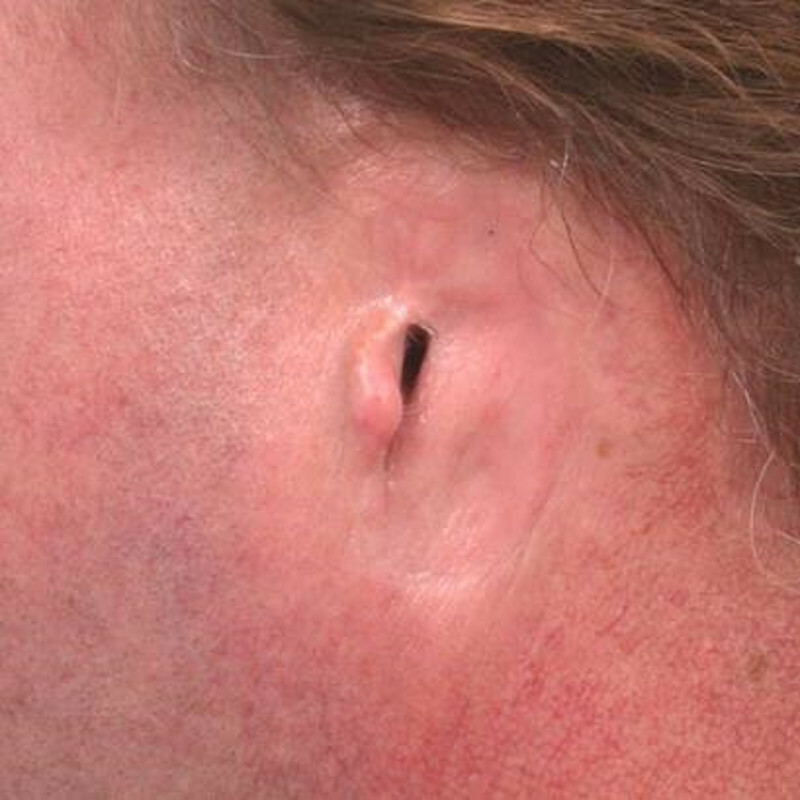 The patient is shown wearing the finalized prosthesis which is barely detectable. 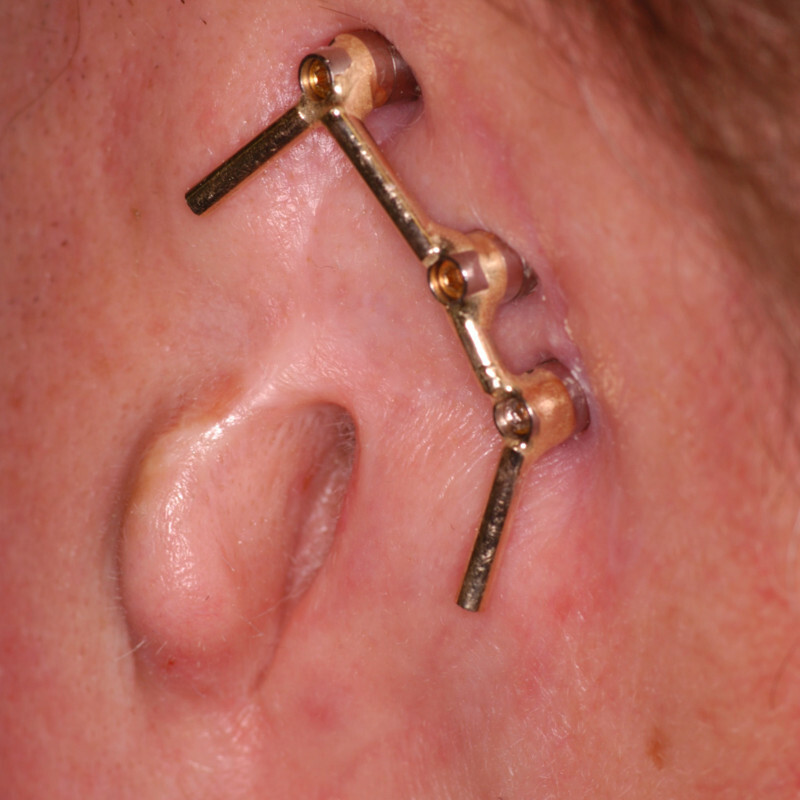 He has the security of the magnetic attachments holding the prosthesis firmly in place. Made by Susan Habakuk, master anaplastologist in coordination with Dr. Stephen A. Wagner. 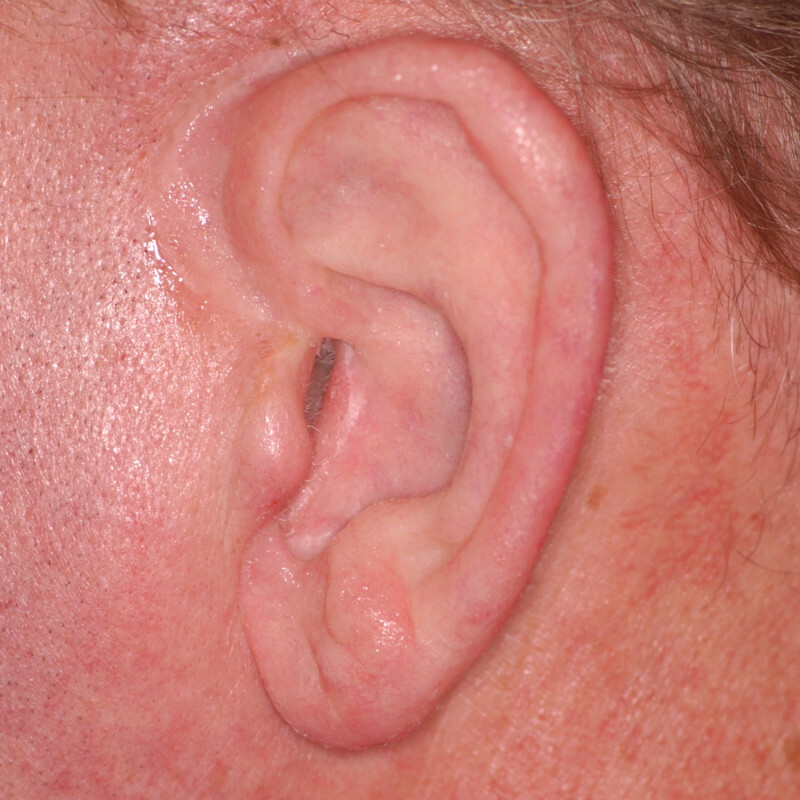 The final result of the auricular (ear) prosthesis, fully attached magnetically to the head, incorporating the small part of the patient’s ear anatomy. Notice the intrinsic coloration making a life-like, barely detectible prosthesis made by master anaplastologist, Susan Habakuk. Ours is the only office in New Mexico and much of the Southwest that fabricates life-like facial prostheses for patients with either congenitally absent facial features or sections of the face that have been surgically removed due to cancer or trauma. 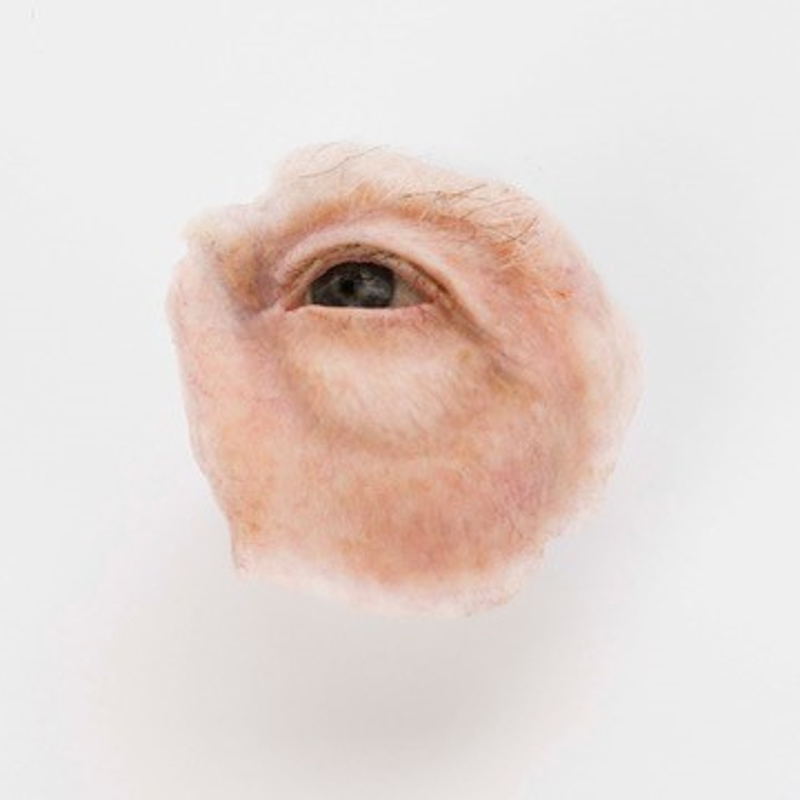 Auricular prostheses (artificial ears), nasal prostheses (artificial noses), and orbital prostheses (artificial eyes and surrounding tissues) are individually sculpted by our medical anaplatologist artist, Ms. Susan Habakuk. We are extremely fortunate to have this remarkable sculptor and colorist located in New Mexico to serve our patients with such essential restorations. She is internationally renowned as one of the leading Medical Anaplastologists in North America and she has lectured to audiences in North America, Europe and Asia. Photographs of her work can be seen in numerous textbooks and professional journals.